Esoteric Recordings are pleased to announce the release of a Deluxe two disc edition of the live album “NOMAD POETS” by the legendary SPOOKY TOOTH. Formed in London in 1968, Spooky Tooth were one of the most original and imaginative rock bands of their era. Between 1968 and 1974 they recorded a series of albums that have now rightly become regarded as classics of the genre. It was a pleasant surprise to fans when the band reunited for a series of European concerts in 2004. 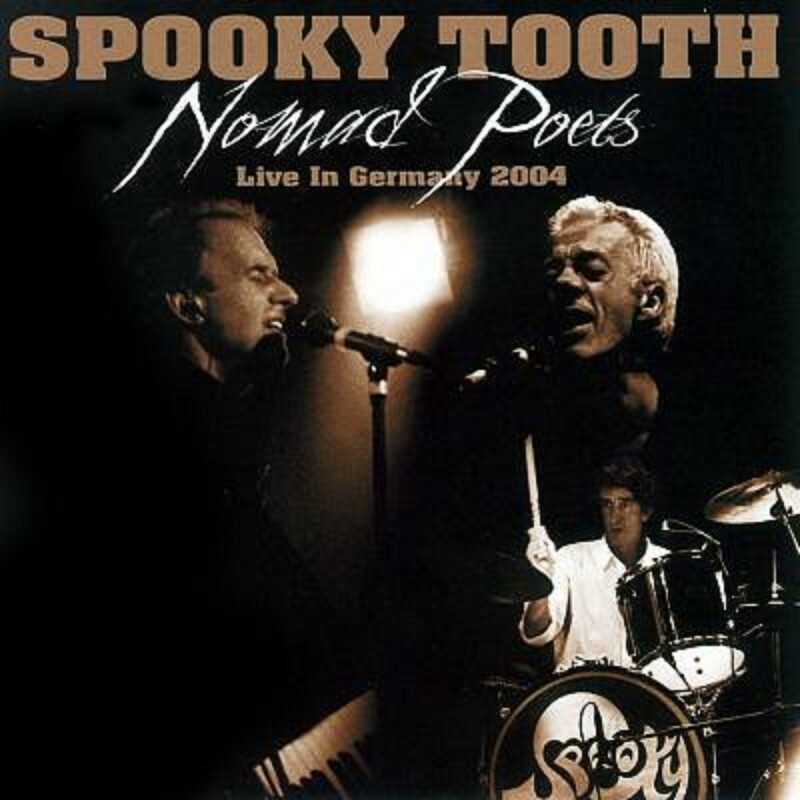 Recorded in Germany on Spooky Tooth’s reunion tour, this CD and DVD features the highlights of the band’s live set at two concerts in Worpswede and Hamburg on the 4th and 5th June 2004. Featuring original members GARY WRIGHT (keyboards, vocals), MIKE HARRISON (keyboards, vocals), MIKE KELLIE (drums) along with guest musicians JOEY ALBRECHT (guitar, backing vocals) and MICHAEL “BEXI” BECKER (bass, backing vocals), Spooky Tooth gave stellar performances of classic material from their career such as ‘Sunshine Help Me’, ‘Waitin’ for the Wind’, ‘Better by You, Better Than Me’ and ‘Evil Woman’ among other tracks. Out of print for some years, this deluxe edition features a newly re-mastered CD and DVD (NTSC / REGION FREE) in one set for the first time. The DVD also has bonus features, including footage of Gary Wright performing ‘Love is Alive’ and ‘Are You Weepin’’ recorded in San Diego, California in 1976 and an interview with Gary Wright. The DVD also includes a slide show of Spooky Tooth photos taken by Gordon Jackson.